As we move into 2014, let’s focus on giving for a moment. By that I don’t just mean giving to charities or giving discounts, I mean giving things that cost you (almost) nothing but can reap huge dividends for you as well as for others. Offer ways to help your customers solve the problems and challenges that they may be facing. Provide ideas to make better use of your products and services. Consider ‘How to…’ guides, podcasts, seminars, one to one problem solving sessions, case studies and ‘real-life’ examples. Make their lives easier. This isn’t about pushing products and services. It’s about relevance and added value. Let people know when they’ve done something well, (and point out constructively when they haven’t). How do you feel when a customer emails or rings to say you’ve done a great job? Do you find yourself doing even more next time that customer wants something? Why not be an ‘undercover customer’? Spot when people do things well and tell them! Business is about relationships. That’s not just handing out loads of business cards, it’s linking people, helping people in their network, and proactively building relationships. So spot opportunities for others, pass leads and enquiries and provide referrals for their friends. Who could you give leads and referrals to? Think about your customers, your network contacts, even your suppliers. Frighteningly, in some businesses all this means is returning calls, acknowledging and smiling at customers, meeting deadlines and just doing what you said you were going to do! Of course, the best businesses do more than this, and find ways of demonstrating that. Proactively demonstrate to your own customers that you care, and please make sure that all your people do the same. Just one individual who doesn’t do this undermines everyone else’s actions. Apart from encouraging the people in your team – and let’s face it, you probably don’t do that as much as you really ought to – how about encouraging people with no connection to your business who could benefit from your knowledge and experience? That might be people with less experience than you, students, or school kids. For example, I was at an event recently to see a group of school children, who had set up and run their own businesses with the support of many local business people. Everyone who was there could see the enthusiasm, passion and excitement created –in kids AND the business people. Giving might not always be the first thing that springs to mind as part of a competitive strategy – and I’m not suggesting that it’s a competitive strategy on its own – but it can certainly be a significant part of that strategy. 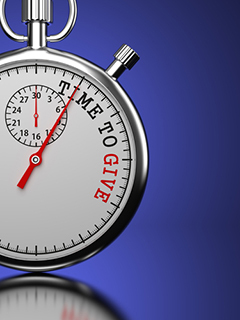 Finally, giving is not a marketing gimmick. It’s a philosophy which produces results. So, go on, GIVE it a go!